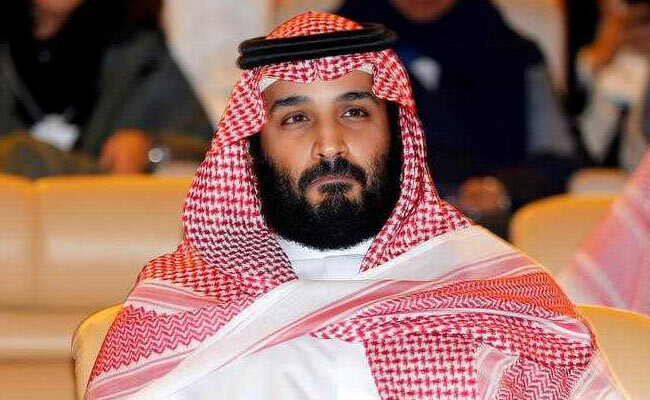 "Saudi Arabia does not want to acquire any nuclear bomb, but without a doubt if Iran developed a nuclear bomb, we will follow suit as soon as possible," Crown Prince Mohammed bin Salman told CBS in an interview that will air in full on Sunday. RIYADH: Saudi Arabia will develop nuclear weapons if its arch-rival Iran does so, the kingdom's crown prince said in remarks released on Thursday, raising the prospect of a nuclear arms race in a region already riven with conflict. "Saudi Arabia does not want to acquire any nuclear bomb, but without a doubt if Iran developed a nuclear bomb, we will follow suit as soon as possible," Prince Mohammed bin Salman told CBS in an interview that will air in full on Sunday. The Sunni Muslim kingdom has been at loggerheads with revolutionary Shi'ite Iran for decades. The countries have fought a long-running proxy war in the Middle East and beyond, backing rival sides in armed conflicts and political crises including in Iraq, Syria, Lebanon and Yemen. He downplayed Iran's power during the interview, saying that Iran was far from being a rival to Saudi Arabia. Iran's Foreign Ministry spokesman Bahram Qasemi reacted harshly, saying the Saudi crown prince was a "delusional naive person" who has no idea of politics, Iranian state TV reported on Thursday. "He has no idea of politics apart from bitter talk that emanates from a lack of foresight ... His remarks do not deserve a response, because he is a delusional, naive person, who never talks, but with lies and bitterness," Qasemi said. Prince Mohammed, who also serves as Saudi defence minister, said last year that the kingdom would make sure any future struggle between the two countries "is waged in Iran", prompting Iranian threats to hit back at most of Saudi Arabia except the holy cities of Mecca and Medina. Riyadh has criticised the 2015 deal between world powers and Tehran under which economic sanctions on Iran were lifted in return for the Islamic Republic curbing its nuclear energy programme. U.S. sanctions will resume unless President Donald Trump issues fresh "waivers" to suspend them on May 12. The comments by Prince Mohammed, who at 32 is heir to the throne, also have implications for Israel, another U.S. ally which neither confirms nor denies the widespread assumption that it controls the Middle East's only nuclear arsenal. Israel has long argued that, should Iran develop nuclear weapons, it would trigger similar projects among the Persian power's Arab rivals and further destabilise the region. It has never joined the 1970 nuclear Non-Proliferation Treaty (NPT) and has said it would consider inspections and controls under the NPT only if was at peace with its Arab neighbours and Iran. Saudi Arabia is stepping up plans to develop a civilian nuclear energy capability as part of a reform plan led by Prince Mohammed to reduce the economy's dependence on oil. The world's top oil exporter has previously said it wants nuclear technology only for peaceful uses but has left unclear whether it also wants to enrich uranium to produce nuclear fuel, a process which can also be used in the production of atomic weapons. The United States, South Korea, Russia, France and China are bidding on a multi-billion dollar tender to build the country's first two nuclear reactors. Prince Mohammed's comments, ahead of a trip to the United States next week, could impact the bid by a consortium that includes Toshiba-owned Westinghouse. U.S. companies can usually transfer nuclear technology to another country only if the United States has signed an agreement with that country ruling out domestic uranium enrichment and the preprocessing of spent nuclear fuel - steps that can have military uses. Reactors need uranium enriched to around five percent purity but the same technology in this process can also be used to enrich the heavy metal to a higher, weapons-grade level. This has been at the heart of Western and regional concerns over the nuclear work of Iran, Saudi Arabia's arch-rival which enriches uranium domestically. Riyadh approved a national policy for its atomic energy programme on Tuesday, including limiting all nuclear activities to peaceful purposes, within the limits defined by international treaties.